This combo is favourably to be use in bedroom, which has a marvelous effect in inducing deep sleep and improve the quality of sleep, and make you sleep soundly every night! Longing for a good night sleep? This must be the brilliant choice for you to make today! Scents Description: A soft citrus scents followed by lovable floral aroma & a woody balsamic undertone. * Promotes deep & restful sleep. * Emotionally warming, calming & relaxing. * Good for depression, grief & restlessness. * Great antiseptic & anti-infection properties. To be terribly tired yet unable to sleep? Starting to worry about it, feel tired all day or are mentally unalert then you possibly have insomnia. Insomnia may cause problems during the day, such as tiredness, a lack of energy, difficulty concentrating, and irritability. Pure Essential Oils are the key to Unwinding. Many oils, are said to have a sedative effect, you should find it hard to stay awake. Blu Scents Deep Sleep is a calming oil for a busy mind and its sedative properties give effective relief from insomnia. 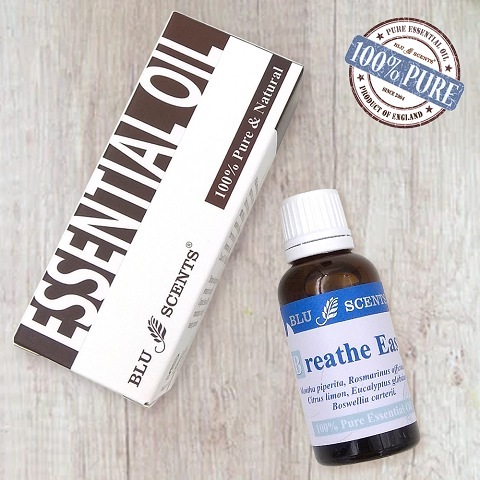 Spend a little moments for yourself after a hard day work, sprinkle few drops of Blu Scents Deep Sleep onto a burner or vapouriser will help to relax the nervous system and drift off into a deep sleep. Add in 10 drops of Blu Scents pure essential oil to 100ml of water or alcohol, to make a powerful relaxing aromatherapy spray.